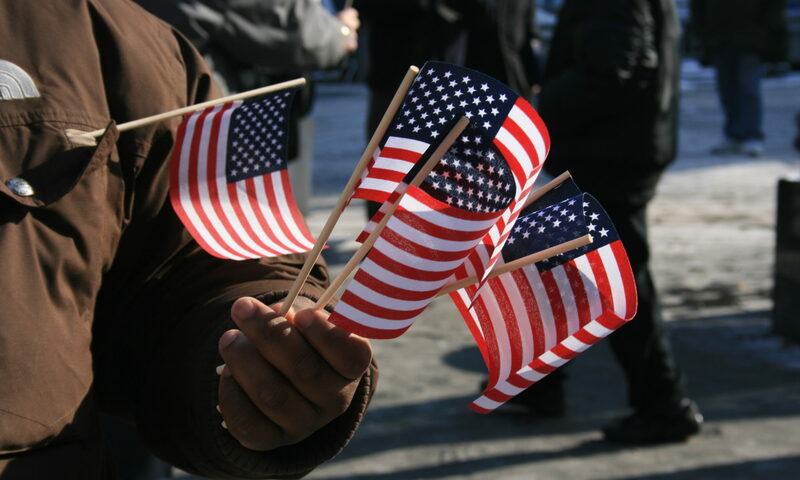 I’m a Legal Immigrant; Will I be able to Apply for Social Security Benefits? The Social Security Administration (SSA) provides financial assistance to those who are disabled via Social Security Disability Insurance (SSDI) or to those whose total income is well below a set maximum via Supplemental Security Income (SSI). These programs are intended to help disabled immigrants as long as they meet the SSA’s criteria to qualify for benefits. 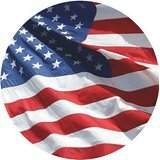 A Social Security Number, assigned after 2004, which allows you to legally work in the U.S.
For SSDI, you must have worked, paid Social Security taxes, and have enough years of Social Security taxes totaled to equal between 20 and 40 job credits. The number of work credits you need depends on how old you were when you became disabled, and work credits accumulate at the rate of about four per year. Some immigrants don’t pay Social Security taxes, so you’ll need to know your status before knowing if you qualify for SSDI. For SSI, no work history is necessary, but you must meet the strict income and asset limits for this need-based program. The primary factor for trying to determine if someone is eligible for Social Security disability benefits is whether or not they have a valid medical condition that prevents them from working. This condition must be an eligible condition on the SSA’s “Blue Book” or proved through a residual functional capacity (RFC) evaluation. Regardless, if you want to qualify for SSD benefits then your medical condition must be expected to last at least one year or to result in death. SSI is more likely to be affected by a pension because this is a need-based program with strict income and asset limits. The SSA must review your finances to determine eligibility. The amount of money you receive each month from various sources can affect eligibility. If you have recently become disabled and are unable to continue working, you may be eligible to earn Social Security disability benefits from either Social Security Disability Insurance (SSDI) or Supplemental Security Income (SSI). While it is highly recommended you seek the help from a professional Social Security disability lawyer, they still need to be paid. So how much does a Social Security disability attorney usually cost? Continue reading to learn about where the costs of an attorney come from and how much you should pay. What Are Disability Lawyers’ Fees? What Was The Average Payout For Disability Lawyers? In practically all instances, disability lawyers work under what is called a “contingency fee” which means they only get paid if they win your case. If the SSA decides that you are not eligible to earn Social Security disability benefits, then you do not have to pay your attorney. However, if the Social Security Administration (SSA) decides that you qualify for SSD benefits, they will award your lawyer a percentage of your past-due benefits or what’s known as backpay. There is a maximum limit on the lawyer’s fee: 25% of the backpay, up to to a cap of $6,000. Although the lawyer fees are set to a maximum of $6,000, 68% of those who participated in a recent survey reported that their lawyer received less than $6,000. When a disability application was approved after the initial stage, the average fee came to half of the maximum: $3,000. When an application proceeded to the appeal stage, the average fees were increased. Around 50% of participants who received disability benefits after an appeal hearing reported that their attorneys were paid the cap of $6,000, with an average take of $4,600. The difference in awards from the application and appeal stages is not a mystery considering that a disability lawyer’s amount received is dependent on the amount of the applicant’s backpay. These awards are typically larger if an application has reached the hearing stage because it takes a considerable amount of time to get to that stage, resulting in increased backpay from the extended wait. Keep in mind, most applicants hire an attorney during the hearing stage (70% of participants), and lawyers could potentially increase the amount of backpay for clients by making sure the SSA does not set a later date for when the disability began. If you’re applying for SSI benefits, keep in mind that fees for disability attorneys are commonly lower than SSDI applicants. The survey revealed that the average lawyer’s fee was $2,950 in SSI cases. Besides the fact that most attorneys work under a contingency basis and won’t receive payment if their client does not become approved for SSD benefits, some attorneys didn’t ask for any payment even after their client’s application was approved. This typically occurred during the initial application stage, where about 20% of participants said that their lawyers received no payment. However, only 5% of lawyers didn’t take payment during the appeals stage. This is because it takes much more time to prepare for the hearing since additional documents are required. There are some attorneys who spend part of their time completing “pro bono” work which is work without payment. Lawyers will typically complete pro bono work for disability applicants who suffer from extremely severe medical conditions and who are in critical financial need. These clients usually have blatantly eligible claims and are approved quickly during the initial application phase, and a lawyer doesn’t need to dedicate much effort to assist in the claim. Likewise, legal aid clinics, disability rights clinics, law school clinics, and nonprofit law firms that possess staff attorneys or students who will aid in the submission of a disability application. While some clinics will waive their fee, don’t automatically expect them to. Several legal assistance clinics quit helping with disability claims when the SSA began awarding payments directly to attorneys via SSI backpay. This caused more attorneys to begin taking on SSI cases and less availability to complete pro bono work. Disability applicants can also expect to pay out of pocket expenses of pursuing their case, such as any costs for copying medical and work records, to their attorneys. However, these expenses usually do not exceed a total of $200 (excluding the expenses of any required medical examinations since applicants would pay to the medical professionals themselves instead of their attorneys). The Social Security disability application process is notoriously known to be confusing, difficult, and rather time-consuming. However, the Martindale-Nolo’s 2017 survey revealed that hiring a lawyer resulted in almost double the chance of an applicant being approved for disability benefits. Of the participants who hired an attorney to aid in the application submission and/or represent them during a court hearing, 60% ended up receiving benefits, whereas 34% of those who didn’t hire a lawyer. Can You Work Part-Time While Receiving Disability Benefits? The Social Security Administration awards disability benefits to individuals who suffer from a medical condition that prevents them from working. The purpose of these benefits is to assist disabled individuals who are struggling financially due to their inability to work. If you’re collecting SS disability benefits while working at least part-time, then there are a few things you need to know about that could affect your benefits amount. Substantial Gainful Activity (SGA) refers to the sum of income earned in a given month from working. The SSA frequently reviews your SGA to determine if you are meeting their criteria for disability benefits. If you’re working part-time and are earning more than the maximum amount per month set by the SSA, then your eligibility for SS disability benefits could be in jeopardy. If you’re earning more than the set maximum shown above before applying for disability benefits, it’s extremely likely that the SSA will not view you as disabled and as a result, your application will be denied. However, if you’re able to prove that your work doesn’t contribute to substantial gainful activity, even if you exceeded the set maximum, you may be able to save your claim as the SSA continues to the next stage in the application process: verifying that you have a qualifying disability. If you quit your job before submitting your disability application, then you’ll need to provide evidence that you quit due your medical conditioning getting worse and preventing you from working, instead of quitting for the sole purpose of reducing your SGA to meet the SSA’s criteria. Say that you managed to earn an income that doesn’t exceed the SSA’s set maximum, they could still perform an evaluation of your ability to work. So just because you have a low income, that doesn’t mean you are physically unable to work, and the SSA will evaluate the severity of your medical condition to determine if you’re physically capable of working and the low income is simply a result of your own decision. On the opposite end, just because you’re earning high wages doesn’t mean you’re contributing to substantial gainful activity. Your wages could be earned by working under certain conditions that take into consideration your disability, which does not tell the complete story of your capability to work. If you have further questions, it’s best to speak with a qualified Social Security disability attorney for help completing your application, gathering necessary documentation and possibly representing you in court during the appeals process if your case reaches that stage of the application process. If you’re one of the tens of thousands of Americans suffering from a debilitating medical condition that prevents you from holding a job, you may be eligible to receive Social Security disability benefits. The Social Security Administration (SSA) provides two financial assistance programs for those living with crippling disabilities; Social Security Disability Insurance (SSDI) and Supplemental Security Income (SSI). It’s highly recommended you speak with an experienced Social Security disability lawyer to determine which program is more optimal for you and your family. Before that happens, here are the 5 medical conditions that have the highest reported success for qualifying for Social Security disability benefits. It’s estimated that over 49 million adults and 250,000 children exhibit some type of arthritis. Currently, there are over 100 known forms of arthritis and similar conditions, which typically cause swelling, stiffness, and pain in the joints. While some types of arthritis are manageable, some forms can be debilitating and prevent the sufferer from living a healthy, functional lifestyle. For those with a form of arthritis that prevents them from completing daily tasks and/or keeping a job, you may be eligible to receive Social Security disability benefits. DDD or Degenerative Disc Disease is a type of osteoarthritis that affects the spine. It’s not uncommon, DDD harms over 3 million people of all ages in the United States. DDD typically causes severe back and neck pain, numbness in the limbs, inflammation, soreness, and prevents the victim from completing basic tasks without severe pain. People living with DDD commonly find extreme difficulty in working, moving, or completing essential tasks such as bathing or dressing. As a result, they suffer from financial hardship which damages their health. If you’re currently struggling with Degenerative Disc Disease, then you may be able to receive financial assistance from Social Security. Cancer is the result of the uncontrollable division of the body’s cells. These divisions create tumors from the build-up of excess cells. Tumors directly prevent the body from functioning properly. The most common cancer diseases are breast cancer, prostate cancer, lung cancer, leukemia, skin cancer, and lymphoma. While it depends on which stage the cancer is at, a victim can expect to face debilitating complications in their mobility, chronic pain, a dependency on medical equipment and treatment procedures, and the side effects experienced as a direct result of these procedures. Those with invasive, severe, or terminal cancers may be eligible to receive disability benefits from Social Security so that they can focus on their health instead of the crippling financial burden that comes with fighting cancer. Paralysis refers to the loss of muscle function or feeling in an area of the body. It’s considered a symptom rather a disease. It is commonly seen in those who experienced severe damage to their spine, strokes, cerebral palsy, multiple sclerosis, physical trauma, spina bifida, but can occur as a result of any other disabling condition. In addition to the inability to use certain areas of their body, paralysis victims can also expect to experience bowel complications, ulcers, loss of libido, or serious mental disorders such as depression or anxiety. The Social Security Administration recognizes individuals suffering from paralysis as disabled, and commonly awards these individuals with disability benefits to financially compensate for the inability to work. Parkinson’s Disease is the disorder of the CNS (Central Nervous System) that adversely affects movement and worsens as the individual ages. Those with Parkinson’s typically experience tremors, impaired movement, limb stiffness, inability to balance themselves, and loss of coordination. It’s currently estimated that over 210,000 individuals in the United States are living with Parkinson’s Disease. There is no cure for Parkinson’s; since the disease gradually cripples the sufferer physically and psychologically, they eventually will be unable to work, making them likely eligible to receive disability benefits from Social Security. If you are living with a disabling condition described above or any other medical condition that prevents you from working, you may be eligible to receive Social Security disability benefits. Speak with a professional disability attorney immediately to begin the Social Security disability application process. A disability lawyer is able to explain the complicated process to you and help collect the necessary documentation for your application. They can even represent you in court during the appeals process if your case extends to it. If you want your application to have the highest chance of success, don’t wait, speak to a disability lawyer today to see if you could start receiving disability benefits. Every day tens of thousands of Americans wake up to debilitating medical conditions that prevent them from maintaining a sustainable job. Faced with adversity, these individuals look to their best chance of survivability; Social Security. The Social Security Administration (SSA) administers two federally funded programs, Social Security Disability Insurance (SSDI) and Supplemental Security Income (SSI) which are meant to provide financial assistance to those with crippling disabilities who cannot work and make enough money to sustain themselves and/or their families. If you’re living with a disabling medical condition and are unable to work consider speaking with a professional Social Security disability attorney. You’ll be able to discuss if one of these Social Security disability programs is right for you. The following are the top five factors that can contribute to a higher success of qualifying for Social Security disability benefits. Substantial gainful activity (SGA) is one of the primary factors considered when the SSA evaluates your application for Social Security disability benefits. To meet the monthly SGA, your income needs to exceed the set minimum each month to contribute to stand living costs. For non-blind people, substantial gainful activity is set at $1,180 each month for 2018. For blind individuals, substantial gainful activity is set at $1970 each month. You’ll need to earn more than these amounts to be considered engaging in SGA. Physical complications you dealt with while working. What reasons were given as to why your medical condition prevented you from completing a job correctly. If your PRW accurately reflects your current livelihood, then the chances of you qualifying for SSD benefits increases. To qualify for Social Security Disability Insurance, you will need to provide evidence that you have earned sufficient work credits via contributing enough to Social Security taxes. You’re able to acquire a maximum of 4 work credits each year. For SSDI, sufficient work credits would be 40 credits, 20 of which have to be earned in the last ten years before you became disabled. Keep in mind, the amount of credits needed varies by age; the younger you are, the fewer credits are needed to be eligible for SSDI. Another critical component of your Social Security disability benefits application is how well you’re able to depict how your medical condition prevents you from completing typical daily tasks. These tasks include moving around, bathing, dressing, cooking, interacting with others, tidying up the house, engaging in hobbies, and other essential activities. If you’re confident you can prove to the SSA that your medical condition has left you struggling to live a healthy, functional life, you may be eligible to receive Social Security disability benefits. The SSA typically provides Social Security disability benefits to residents of the United States. While certain circumstances permit non-citizens to qualify for SSD benefits via contributing to the disability fund by paying taxes, those who are already legal citizens have a shortened application process compared to non-citizens. The Social Security disability application process is notoriously known to be one of the most difficult, frustrating, and complex systems to navigate as well as being awarded benefits. Thankfully, there are professional Social Security disability attorneys who are here to help you create a strong SSD application which will give you the best chances of being awarded SSD benefits. They can help gather medical documentation, assist in completing sections of the application, organize your case, and represent you in court during the appeals process if it comes to that. Don’t wait, contact a Social Security disability lawyer as soon as possible so you can begin the lengthy application process. Can I Qualify For Social Security Disability If I Was Paid Under The Table? Being paid under the table can adversely affect your chances of qualifying for Social Security disability benefits. What If I Was Only Paid Partially Off the Books? To become eligible for Social Security Disability Insurance (SSDI) the Social Security Administration (SSA) requires that you have enough work credits accumulated as an indication that you paid into Social Security via taxes. However, if you were paid under the table, then you would not have paid taxes with your work checks, which means you or your employer have made no contribution to the Social Security disability fund through your job pay. As a result, you won’t have enough job credits accumulated to qualify for SSDI benefits. It’s likely that you will still have troubles when attempting to become eligible for SSDI because your average monthly earnings need to meet a certain minimum before you can earn a job credit. The amount you receive each month from Social Security is dependent on your average monthly earnings for the duration of your entire working career. If you were getting paid money under the table then your monthly earnings would be decreased, which would subsequently reduce your monthly benefit amount. Supplemental Security Income (SSI) differs from SSDI when it comes to eligibility because SSI is not dependent on you having a work history and sufficient job credits whereas SSDI is. SSI is a Social Security program that provides benefits to those who do not sum enough monthly income to sustain themselves or their families, this includes insufficient income and/or possessions. So while it is unlikely that you’ll qualify for SSDI since you may not have acquired enough job credits, you still have a chance to qualify for SSI depending on your financial situation. These two Social Security programs share the same requirement that you need to provide sufficient evidence that you have a medical condition that prevents you from working and is recognized by the SSA. These two programs contain financial maximums on how much income you can earn while receiving benefits. Eligibility for SSDI is primarily dependent on your earned work income. However, SSI considers your income from all tangible sources in addition to any financial assets to determine if you qualify for the financial-need program. Will Going To Prison Affect My Social Security? Typically, the Social Security Administration (SSA) will not consider the months where you were in jail, prison, or other public institutions for committing a crime eligible for Social Security Disability Insurance (SSDI) or Supplement Security Income (SSI) monthly payments. Being released does not automatically qualify you to receive SSDI or SSI payments. Who Can Receive SSDI Benefits? Who Can Receive SSI Benefits? Does Going To Prison Affect My Social Security Benefit Payments? Does Going To Prison Affect My Medicare or Medicaid Coverage? Social Security provides retirement benefits to those who are at least 62-years-old and have earned enough work credits in addition to paying Social Security taxes for at least ten years. The SSA pays disability benefits to those who cannot work due to a severe medical condition that will remain for at least 12 months or result in death. Someone who is on parole or just unemployed will not be eligible to receive Social Security disability benefits. The SSA provides SSI benefits to those who are at least 65-years-old, blind or disabled, and those who sum income and resources are below a set limit. However, the SSA will not pay SSI benefits for the months that you were in jail, prison, or any other public institutions. If you were receiving Social Security before going to prison, your payments would be suspended if you were convicted of a crime and sent to jail or prison for longer than 30 consecutive days. You can expect to receive benefits again the month after your release. While you’re unable to be paid monthly Social Security benefits while you were in jail, benefits to your spouse or children will not be suspended assuming they are still eligible. If you were collecting SSI payments before incarceration, your benefits would also be suspended. With SSI, you can begin receiving payments the month of your release; you won’t have to wait until next month. Be aware, if you were incarcerated for 12 continuous months or more, you will no longer be eligible for SSI benefits and will need to complete and submit a new application for Social Security benefits. If the SSA suspends your SSDI or SSI payments because you were incarcerated, you can directly ask for Social Security to reinstate your benefits. You’ll need to contact Social Security and send a copy of your release documents before they respond to your request. To clarify, if you were collecting monthly payments from Social Security Disability Insurance but were then convicted of a crime and sent to prison on June 14, 2015, the SSA will suspend your benefits starting June 2015. If you finally released in January 2016, the SSA will reinstate your SSDI benefits starting February 2016. However, since SSDI benefits are paid the month after the month when they are owed, you will receive your February payment in March 2016. Another example would be if you were taking home SSI benefits but then were sent to prison in September 2016 and released December 21, 2016, your SSI benefits will be reinstated effective December 21, 2016. You will qualify to receive a partial payment for December, and your full benefit amount will be paid starting in January 2017. If you were not eligible to receive SSDI or SSI benefits before being incarcerated, or your SSI benefits were terminated due to being in prison for 12 consecutive months or more, then you will have to file a new application for Social Security disability benefits. It’s recommended you speak with Social Security to learn about submitting a claim for Social Security benefits. You will need to be able to submit proof of your release from prison, as well as a new application with the necessary accompanying documents. Keep in mind; the SSA cannot reinstate your benefits until your release. You need to provide the official proof of release from the jail or prison where you were incarcerated. Do not forget to bring your release forms when you go to your local Social Security office as its required for you to begin receiving benefits again. If you forget, your benefits will be delayed. Going to prison will not affect your ability to qualify for Medicare Part A (hospital insurance). However, Medicare Part B (medical insurance) will end if you do not pay your monthly premiums, even if you are incarcerated. To begin Medicare Part B, submit an application with Social Security during a general enrollment window, which is from January to March of every year. If you submit an application during this enrollment window, your eligiblity for Medicare Part B will start on July 1st of that year. If your eligibility for Medicaid ended while you were incarcerated, you would have to contact your local social services office to submit an application for Medicaid coverage. The SSA will give you a referral form for you to bring to the social services office. Once you learn your release date, alert someone at your institution that you want to begin your SSDI or SSI benefits. If your facility has a prerelease agreement with the local Social Security office, they will contact the SSA if you are predicted to meet the requirements for SSI or SSDI benefits. The SSA will get an application from your several months before your expected release date. This is so the SSA can start processing your application and accelerate the time it takes for you to start receiving SSDI or SSI benefits after you’ve been released. If you are submitting an application for Social Security disability benefits, the SSA will request and collect medical documentation from your physicians to help determine if your eligibility for the Social Security’s definition of disabled remains. Family members or a social worker can assist you by contacting the SSA and notifying them of your expected release date. A family member could also be your representative payee if your disabling condition stops you from managing your personal finances. If there is no prerelease agreement, but you know your expected release date, speak with Social Security to apply for benefits if you believe you are eligible. You can reach them at the toll-free line of 1-800-772-1213 and inform the representative that you’re expected to release from a correctional institution and want to learn about receiving Social Security benefits. During this time, have your Social Security number available as it will be needed to discuss your individual claim. The representative will schedule an appointment with your local Social Security office where you will submit your application after you’ve been released from prison. When Should I Begin Claiming Social Security Retirement Benefits? The most commonly asked question would have to be, “When should I start claiming Social Security retirement benefits?” While there isn’t a universal age that’s “better” than another age, there are factors you may want to consider before deciding to claim your retirement benefits. First, you’ll want to learn as much as you can about how claiming at particular ages affects your monthly benefits. There are also personal, and family situations where claiming at certain ages may be more beneficial if not necessary than deciding on other ages. The following tackles these circumstances and is meant provide you important information so that you can decide for yourself which age is best for you and your family. If you begin claiming retirement benefits early you will receive a reduced monthly payment for a longer duration, but if you wait you will take home a larger amount each month but for a shorter duration. When deciding on which path to go on you need to consider your financial need, your health, and family circumstances. Also, take into account whether or not you’ll be working while in retirement and if you possess alternative sources of income. Start planning your future retirement budget which includes savings for emergencies; this will give you an idea of how much you’ll need from Social Security to support your planned retirement life. Don’t rush, deciding on when to claim Social Security retirement benefits is very serious because it will affect how much money you’ll receive for the duration of your life and it could impact benefit protection for any of your survivors. Your full retirement age is determined by which year you were born. Click here to learn what your full retirement age is. Your estimated Social Security benefit is determined by how much you earned during your working career. The exact amount that you’ll receive each month from Social Security is determined by the age of when you begin receiving benefits. You’re able to claim retirement benefits starting from age 62 until age 70, and your monthly benefits will increase each year you wait to claim. Your decision on when to claim benefits is a permanent affair and will determine your benefits for the duration of your life. You’ll receive annual cost-of-living adjustments in addition to a higher benefit amount if you continue working while in retirement. For example, if in 2018 you turned 62, your full retirement age would be 66, and the amount you’ll receive each month starting at age 66 is $1,300. However, if you begin claiming retirement benefits at age 62, the SSA will lower your retirement benefits by 26.7% which would put you at $953 a month, but you will receive this over a more extended period compared to claiming at age 66. This reduction is permanent, and you won’t be able to appeal or affect it in any way. If you decide to wait until you’re 70, your retirement benefits will increase to $1,681. This is because the delayed retirement credits you accumulated after deciding to wait to claim social security retirements. 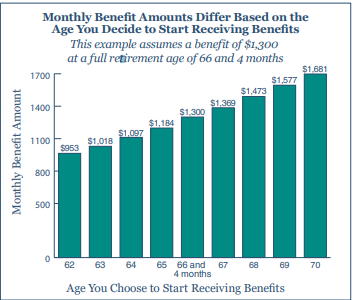 If you claim at age 70, your monthly benefits would be 76% more than the retirement benefit amount you’d take home every month if you began claiming at age 62, so $728 more monthly. When planning you’re retirement, remember to consider the long term. It’s not uncommon for people to live longer than the average retirement age, and typically women live longer than men. Currently, one-third of the 65-year-olds will live until at least 90 years old, and 1 out of seven will age until at least 95. Social Security retirement benefits are provided to financial assist your life after you’re unable to continue working and as a safety net if you have no other sources of retirement income. Think it over, choose the retirement age that fits your personal and family situation the best, so you’re able to get the most out of Social Security. If you’re a retiring senior, then it’s no debate that Social Security will provide essential benefits to support you for the rest of your life. However, relying on Social Security benefits too heavily can certainly cause trouble once you stop working. Sadly, a tremendous amount of women are succumbing to the over-reliance of Social Security. According to new information from Nationwide, an estimated 62 percent of women workers plan to have their primary source of income for retirement from their Social Security benefits. Even worse, 18 percent of female workers plan to have more than 90% of their retirement income come from Social Security. To put it bluntly, this isn’t sustainable. Despite the common belief, Social Security was never meant to entirely sustain retiring workers. Instead, it was supposed to support seniors’ income. Nowadays, Social Security will compensate about 40 percent of the average worker’s pre-retirement income. Many seniors, on the contrary, require upwards of 80% of their career earnings to live a comfortable life, with a healthy life being defined as enough income to sustain basic living expenses. People planning on traveling a lot or taking part in a lifestyle of recreational activities require a lot more. This is exactly why it’s a terrible idea to rely so much on Social Security benefits. Nowadays, the typical retiree collects $1,404 every month, or just $16,848 a year. If you’re one of the women who plan to have Social Security provide near 90 percent of their income, you should reconsider and begin working on how to increase your savings. It’s apparent that Social Security can’t fund your retirement alone after you stop working and lose your primary income, so it’s your responsibility to begin saving. Unfortunately, it’s a lot easier said than done, especially since females typically earn less money than relevantly qualified men across occupations. However, that doesn’t mean you can’t independently work towards boosting your savings and supplying a comfortable retirement fund for yourself. Right now, employees under 50 can contribute up to $18,500 a year to a 401(k) and $5,500 a year to an IRA. If you’re 50 or older, then your limit is raised to $24,500 a year to a 401(k) and $6,500 annually to an IRA. So if you’re 50 and you plan to retire at 67, and you begin maxing your 401(k) for the next 17 years, you’ll have $755,000 in addition to what you’ve already saved independently, with the assumption that your investments generate a 7% average annual return during that period. And that, on top of your Social Security payments could certainly provide the necessary funds for a dream retirement. You don’t even have to save $24,500 each year, increasing your savings rate by any amount will certainly help in the long term. If you are setting aside $300 a month for your retirement and plan to retire in 20 years, you’ll have another $147,000 saved, assuming your investments generate the average 7 percent annual return. However, if you just increase your savings to $400 a month, you’ll add 50,000 dollars to your retirement fund.